Jacksonville State University, where tonight a proclamation will be presented declaring January 1, 2015, as “Sigma Nu Day” in the state of Alabama. Photo by flickr user Jay Williams. Jacksonville, Ala. – Alabama House Representative K.L. Brown will read a proclamation this evening recognizing the chapters of Sigma Nu Fraternity in the state of Alabama. 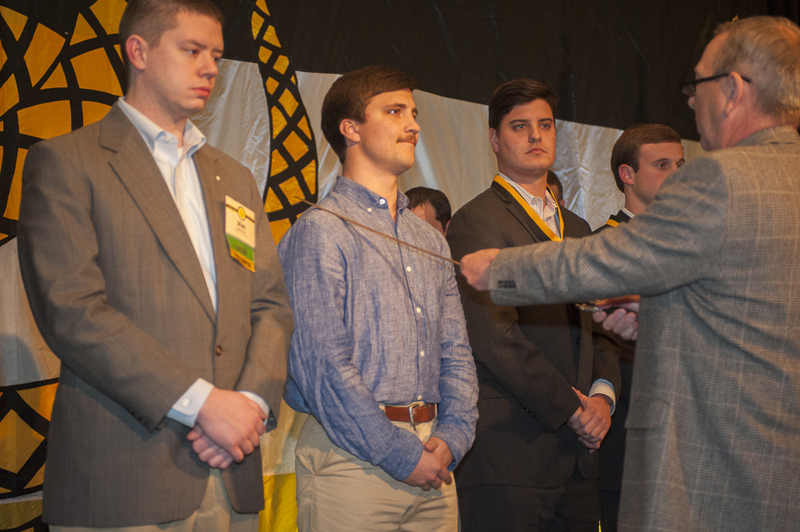 The proclamation, signed by Governor Robert Bentley, will recognize the historic men’s fraternal organization as the only such group founded in direct opposition to hazing and rooted in the honor principle. 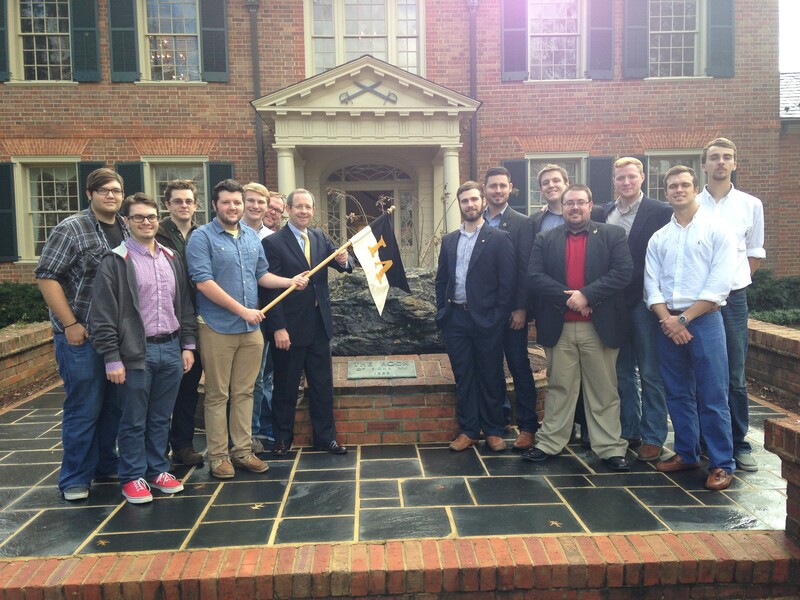 Earlier this year Governor Bentley signed the proclamation declaring January 1 as “Sigma Nu Day” in Alabama. The proclamation will be presented during a ceremony at 7:00 p.m. CT this evening on the 11th floor of the Houston Cole Library on the Jacksonville State University campus. Rep. Brown will be joined by national alumni leadership from Sigma Nu Fraternity, including Sigma Nu Educational Foundation (SNEF) board member Ralph Moore, past Sigma Nu Fraternity board member Austin Landry of Birmingham, and SNEF chairman Joe Gilman of Atlanta. Mr. Gilman is also a past national president of Sigma Nu Fraternity. Dr. William A Meehan, president of Jacksonville State University, is also expected to attend. The signed proclamation, included below, will be framed and displayed at the Sigma Nu Fraternity national headquarters office in Lexington, Va.
NOW, THEREFORE, I, Robert Bentley, Governor of Alabama, do hereby commend the Sigma Nu Fraternity upon its 146th Anniversary on January 1, 2015. Given Under My Hand and the Great Seal of the Office of the Governor at the State Capitol in the City of Montgomery on the 20th day of November 2014. 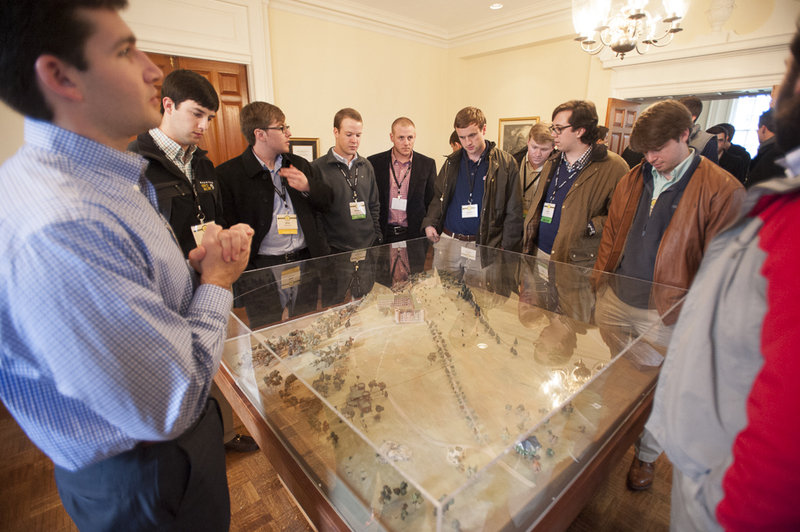 Brothers of Iota Lambda Chapter (Jacksonville State) during a visit to the Headquarters Shrine earlier this year. Innovation [in-uh–vey-shuh-n] – something new or different introduced; introduction of new things or methods. When it comes to providing a personal, professional, or chapter development experience we could all use a little help in spicing things up. LEAD includes some great topics and activities but sometimes your chapter needs to go that extra step with making a session fit into an already hectic chapter calendar or to include another organization or a campus resource into a session. We’ve collected some of the most innovative session and implementation ideas for LEAD – selected based on their novelty and broad utility. Phase I: Session 11: Community Service – Invite the director/coordinator of a local community service organization to speak to the chapter about the importance of service. Use the session as an opportunity to introduce the chapter’s local service partner, inspire support for the cause, and teach members about the value of their impact in the local community. Create a bylaw – like Gamma Delta Chapter (Stevens) – mandating that any brother who wishes to run for office must have completed the LEAD Phase II online sessions and attended multiple facilitated sessions. Phase III: Session 4: Career Development – Reserve a classroom with a document projector. Each member of the junior class takes turns showing their resumes on the screen. Brothers then have the opportunity to provide feedback, make suggestions, and edit each other’s resume for improvement. 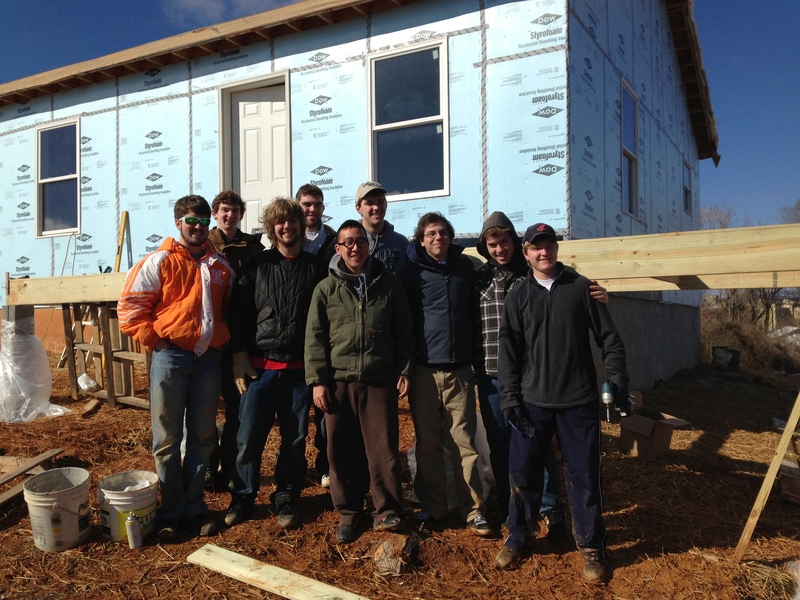 Lambda (Washington and Lee) participating on a Habitat for Humanity build site. Phase III: Session 2: Personal Development – Host a “Reverse Gavel Pass” teambuilding activity. Members sit in a circle passing the gavel to their left. The person holding the gavel is not allowed to speak. The rest of the brothers in the circle are then directed to each provide one piece of positive and constructive feedback. Session ends with a traditional “Gavel Pass” (gavel travels in the same direction). This time the person holding the gavel is the only one allowed to speak. Brother reflects on the activity and provides one thing he learned about himself from others and how he will work to improve himself using this new piece of information (positive or negative). Delta Alpha Chapter (Case Western Reserve) as part of their Phase III implementation tasks the junior class with writing the big brother ceremony for that semester’s candidate class. This project gives the juniors the opportunity to reflect on their time in Sigma Nu and provide meaningful guidance and instruction to the candidates through the written word of the ceremony. 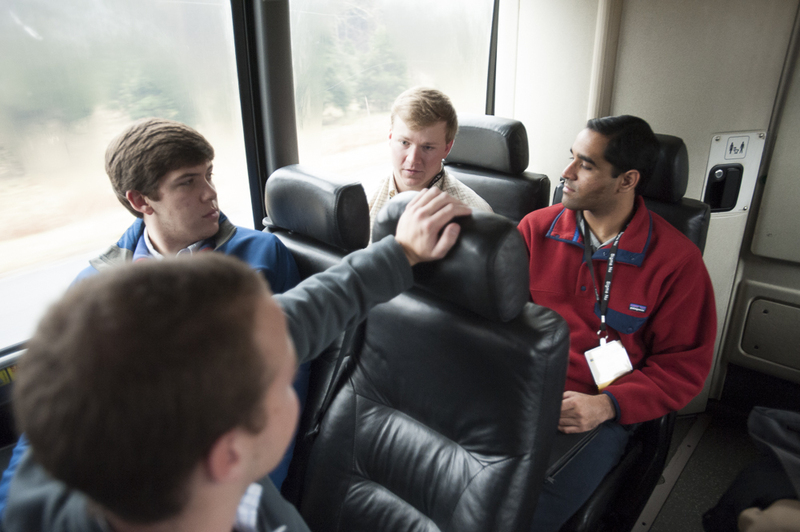 Work with an alumnus or professor in finance and investing to set up an investment simulation. Participants can learn the basics on investing, shadow a professional, and even invest (fake) money with the help of a broker. This can be a great addition to the Phase IV session on money management, just ask Lambda Upsilon Chapter (Cal State Fullerton). All Chapter Sexual Assault Prevention session. Team up with a sorority and have someone from the campus health/wellness/counseling center talk about what sexual assault is, why it happens, how to stop it, and how to assist a survivor. Follow up the session with a non-alcoholic mixer event with the participants. Work with the local fire department to teach brothers how to properly use and maintain a fire extinguisher and put out a fire. 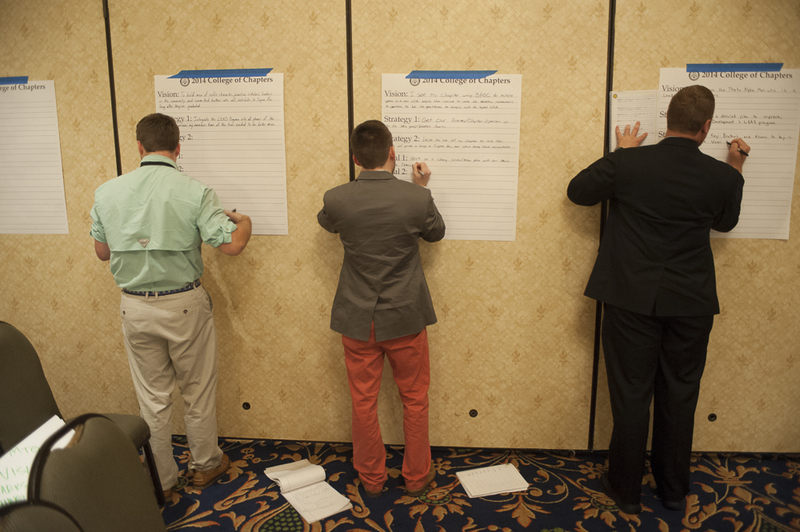 Chapter presidents share best practices at College of Chapters, Sigma Nu’s flagship leadership training conference. The UniLOA assessment is a 70-item, self-reporting instrument designed to measure student growth, learning and development or “GLD” of college and university students. The research is conducted by the Center for Learning Outcomes Assessment at Indiana State University. UniLOA measures behavior at key points in a student’s college career and focuses on seven critical domains: critical thinking, self-awareness, communication, diversity, citizenship, membership & leadership and relationships. In the last few years, this diagnostic tool has provided a rich source of new data to inform program development and support services on campuses across the nation. To ensure high reliability, the authors spent three years developing and testing the instrument before reporting their findings. Now, after six years of data collection, themes and patterns have emerged about the impact of fraternity membership on the development of male students. 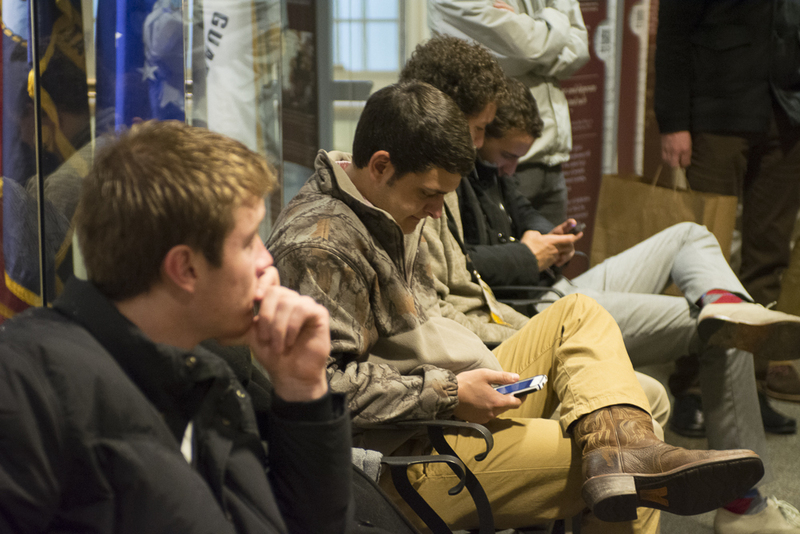 The spike in development—especially in the first 15 credit hours—is not seen in athletics, student government or residence life; it’s found uniquely in fraternity members. Five national fraternities have participated in this research along with more than more than 300 institutions of higher education. Students—not just fraternity members—from across the campus life spectrum have participated in the study. Fraternity men experienced higher net gains in growth over their academic lifespan in each of the seven critical domains. Average growth of fraternity men was higher than non-affiliated men during the first semester of their first year in college, which is often the “pledge” semester. Fraternity men scored substantially higher in “citizenship” and “membership & leadership” than non-affiliated men. The spike in development—especially in the first 15 credit hours—is not seen in athletics, student government or residence life; it’s found uniquely in fraternity members. And the North-American Interfraternity Conference President and CEO, Peter Smithhisler, says it’s the best argument against deferred recruitment. “The earlier a man can join, the more significant his development,” he says. 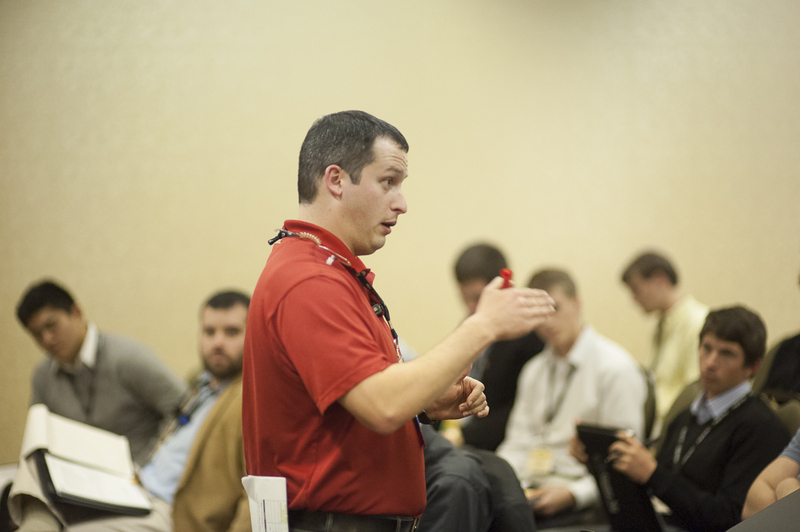 Director of Leadership Development Scott Smith facilitates a discussion at the 2014 College of Chapters in Roanoke, Va.
Of course, the authors of the UniLOA acknowledge that growth, learning and development happen naturally through the maturation process; but meaningful and consistent engagement in organized activities like fraternities tends to accelerate the rate of GLD for those students. The NIC has been aware of UniLOA for the past five years; however, the organization waited to react to the results until the data could be replicated. Now that it has been deemed a reliable and valid instrument that consistently reveals the same overall patterns, the NIC is working to help undergraduate members and college administrators understand the total impact of the fraternity experience on male student development. “While we own, acknowledge and are dealing with the issues that are out of line with the values of the fraternity experience, we also have to start identifying what’s going right. As a result of the new member experience, young men have leadership opportunities, interact with a diverse group of students and develop personal relationships. 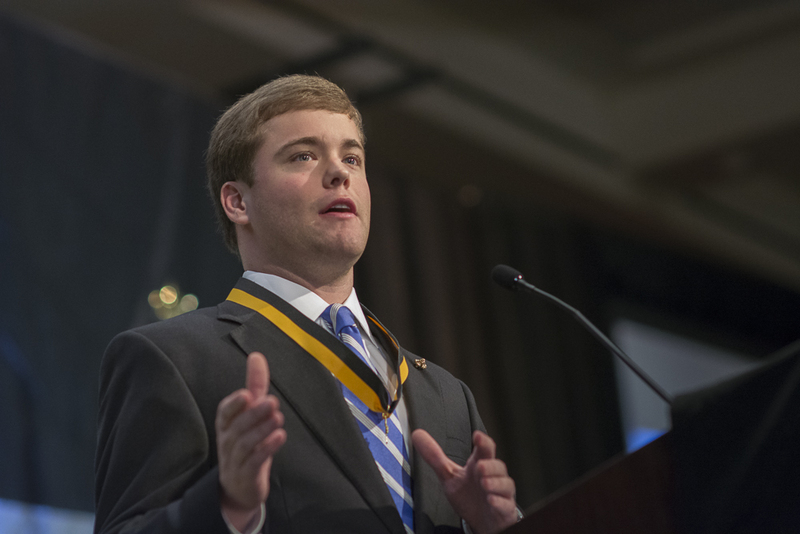 If we can eliminate the negative aspects and enhance the positive aspects, I expect the fraternity experience to become even more impactful,” says Smithhisler. 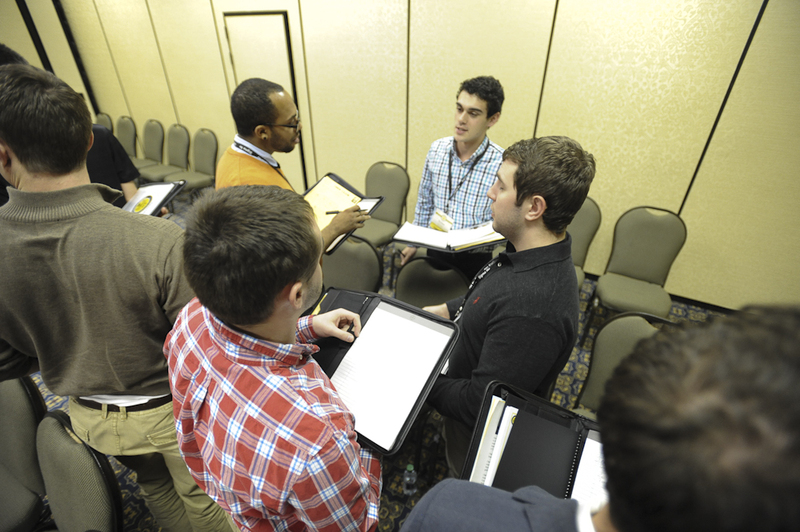 Chapter presidents discuss ways to positively influence their campus at the 2014 College of Chapters in Roanoke, Va.
And that opportunity rests in the hands of our current chapter members. 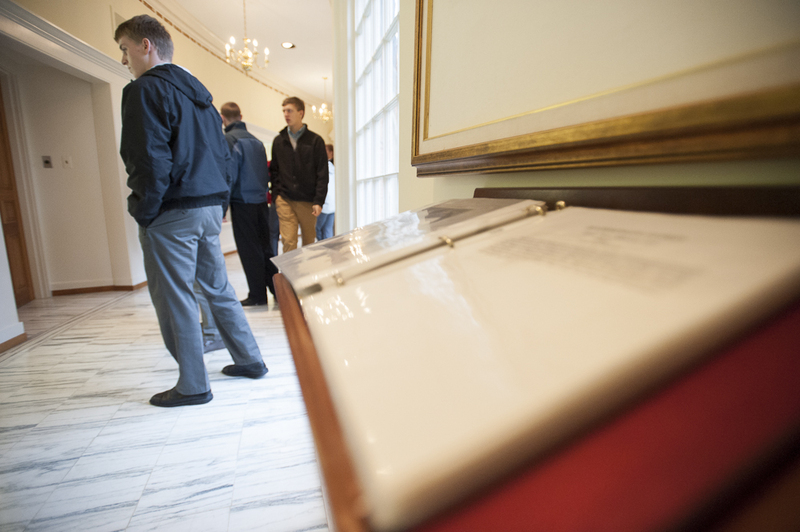 “Our current undergraduates are entrusted with the future of fraternities. What they do today in the ways they recruit, create expectations and how they lead, all of these things will determine the focus of fraternities in the future. And it’s up to the undergraduates to ensure our future,” says Smithhisler. 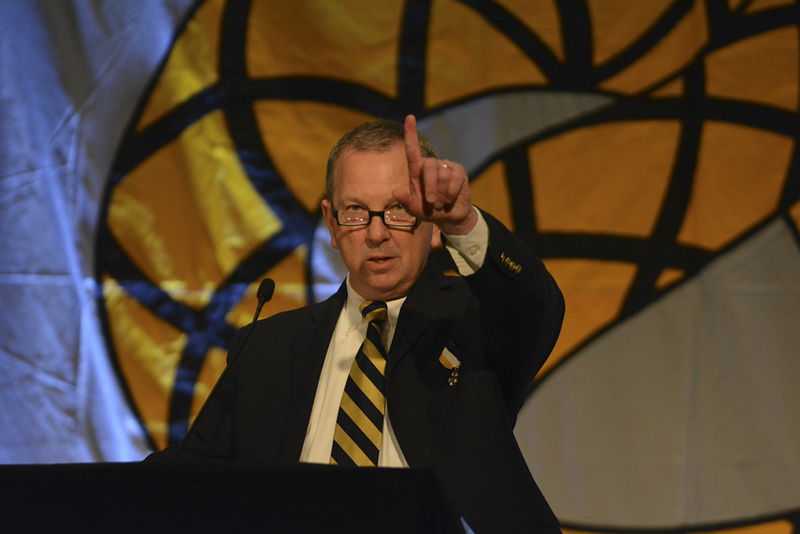 Vice Regent John Hearn stands by to assist chapter presidents during a goal-setting session. To continue to share the research outcomes, the NIC created The Case for Fraternity Rights website and is working through multiple channels to disseminate the information therein. 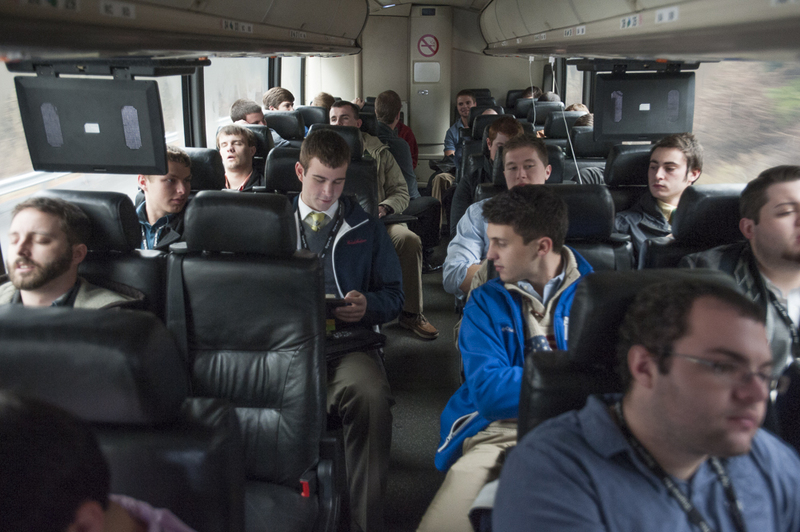 They are communicating directly with IFC and campus leaders, especially those campuses with deferred recruitment. And they’ve translated the research into a 60-minute presentation that their 75 member organizations can use at national conventions or provide to traveling staff members to share with individual chapters. In case you’re wondering, the NIC is not affiliated with UniLOA and does not commission, finance or influence the research in any way. In addition to communicating the good news about fraternity life to those closest to the experience, the NIC is working to share this research with other stakeholders like the media, government officials, parents and potential new members. 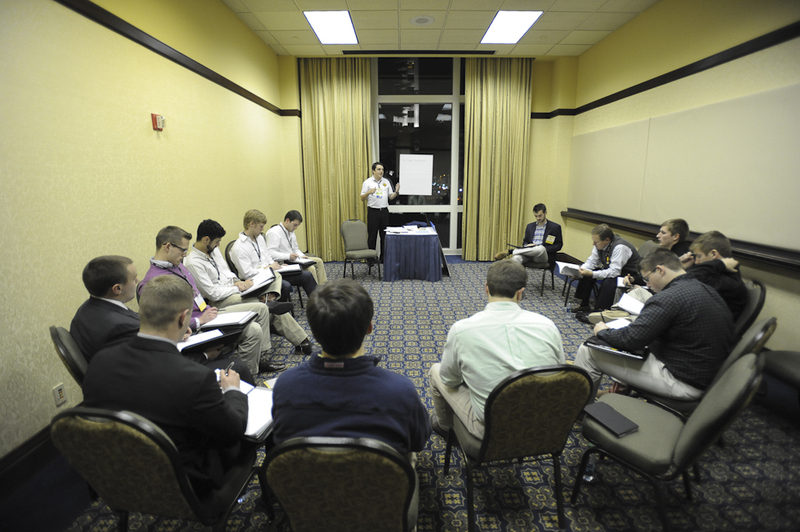 To learn more about the research visit http://nicindy.org/fraternityrights/ and help us spread the word about the dramatic positive impact fraternity life has on student growth, learning and development for the young men who join. 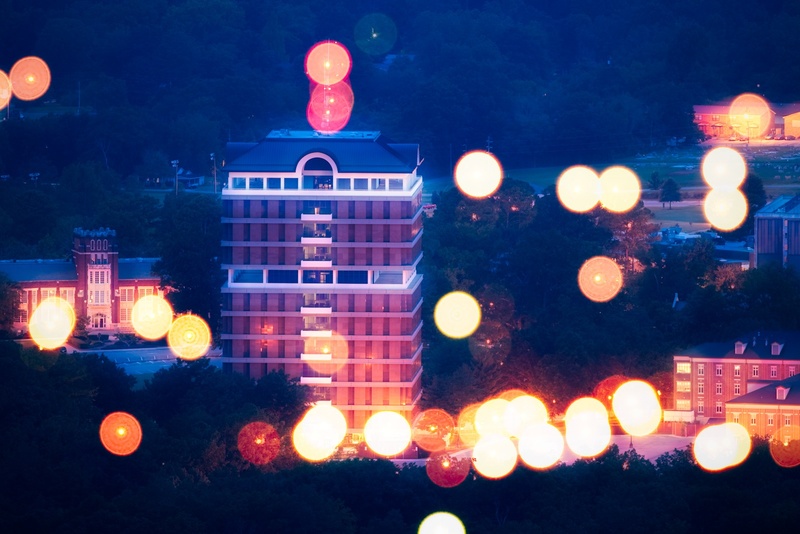 This story originally appeared in the fall 2012 issue of The Delta. I broke a well-known rule of life: Don’t get a tattoo on spring break in Panama City when you’re 18. I placed the Fraternity letters on my right shoulder one sunny day with some of my brothers circled around me. It wasn’t planned and definitely not thought out, but in the moment I felt like it meant enough to me to have the letters placed publicly on my body. It seems that most individuals, even those involved in Greek life, did not feel this permanent choice was wise. As if being a fraternity member was only acceptable as long as I wore my letters in a non-permanent way. I’m willing to admit this only now with a few years of reflection: I bought into the shaming. I believed the friends and acquaintances who took my choice away from me. 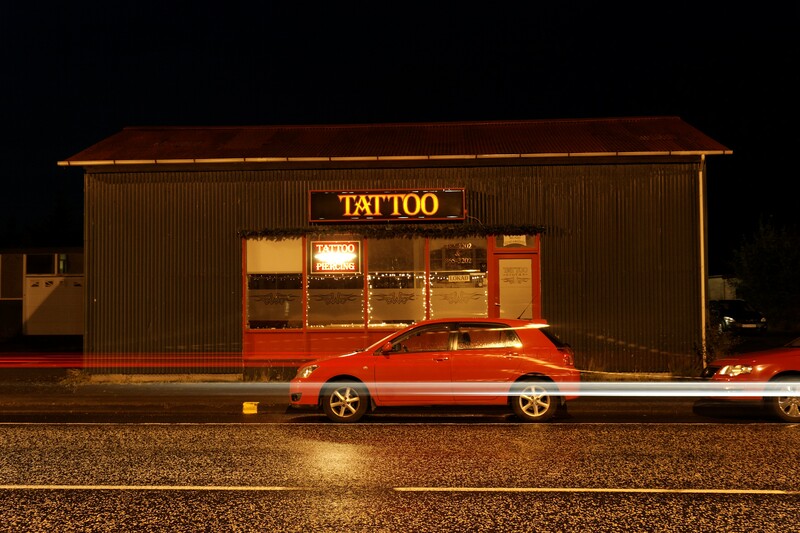 Maybe I shouldn’t have gotten that tattoo. Maybe I should always have it covered so people don’t judge. Maybe I shouldn’t have placed something on my body that wouldn’t identify me as a “frat boy” the rest of my life. For the majority of the last five years I refused to show my tattoo to people. I would make up an excuse, or say it wasn’t done, or just downright say no. I was afraid I would be labeled, yet again, as a dumb “frat boy” who made a bad choice one spring break. My arms, and fraternal pride, went into hiding. I placed the letters on my body because I wanted a reminder to myself, and to those who see it, that I strive to live a life based on a set of values. I helped facilitate an Undergraduate Interfraternity Institute last summer during which I asked a participant to redefine the term “frat hard.” It was written in his Twitter profile and when I pointed it out he apologized and then deleted it. I pushed back, telling him not to run from the term, but to tell people what “fraternity-ing hard” actually meant: living by your values, caring for your brothers and the greater community, leading a life of integrity. A renewed sense of pride rushed over me until I remembered my own refusal to own my fraternal roots. I let those around me take the symbolism of my tattoo and skew it into a generalized, stereotyped version of fraternity. I didn’t have Greek letters (and in correlation, my values) placed on to this once-in-forever body for others; I placed the letters on my body because I wanted a reminder to myself, and to those who see it, that I strive to live a life based on a set of values. How dare they see this symbol and think it’s a mistake. Those values are tattooed to my heart, mind, and soul; what’s a shoulder in comparison? Even as I write this article at a crowded coffee shop I get antsy thinking the woman next to me saw the title of my article and upon reading “My Fraternity Tattoo” decided I was just another frat boy. It’s an ongoing struggle. I strive to live a different life. I refuse to let Greek members who live incongruently with their values ruin an experience that helped thousands become leaders in their communities. I refuse to let people take an experience that has shaped me into the person I am today and decide that it must be the same as that of all others. I refuse to let others turn my tattoo into a symbol of raging parties that upset entire neighborhoods. I refuse to let my tattoo stand for disrespecting other’s identities. I refuse to let my tattoo stand for hosting theme parties that disparage a community. I refuse to let my tattoo stand for hazing new members because of a skewed perspective of what building brotherhood means. My tattoo stands for actual community service, where brothers spend their time directly helping others, not planning a philanthropy that just swaps money between organizations. My tattoo stands for not being a bystander if I see someone acting dishonorably. My tattoo stands for supporting my brothers in all their endeavors, not just by liking a Facebook status, but actually showing up at their athletic events or at their bedside when sick. My tattoo stands for refusing to let Greek professionals be harassed because they held a Greek community accountable for the community’s actions or inactions. I now wear sleeveless shirts – not because it’s hot outside or because I feel like I have muscles to show off (which believe me, I do not) but rather because I invite the discussion. My tattoo stands for opportunity to educate others on what Greek membership really stands for. My tattoo stands for Love, Honor, and Truth. My tattoo stands for the pride I carry from being a Sigma Nu and a fraternity man. Want to talk about it? Steven Harowitz is an initiate of the Mu Psi Chapter at Central Florida and the Coordinator of Student Involvement and Leadership at Washington University in St. Louis. 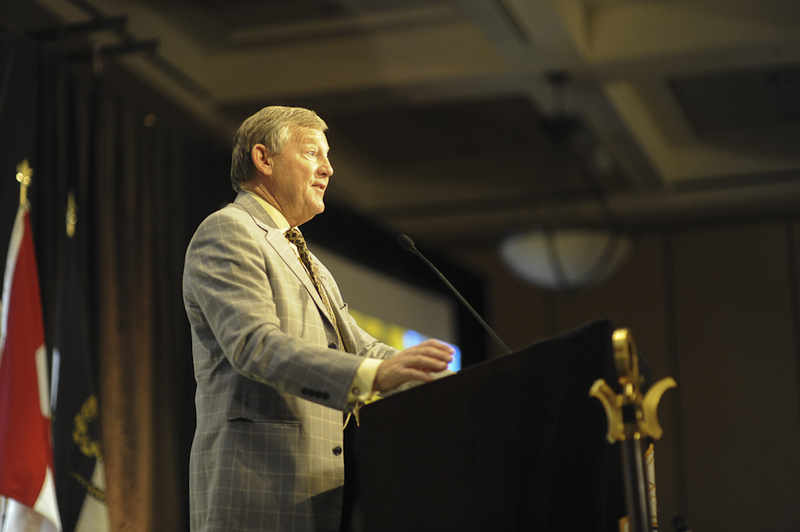 Regent Charlie Eitel delivers the opening keynote address during the 2014 College of Chapters in Roanoke, Va.
College of Chapters was all about visionary leadership. Visionary leadership is the foundation of being an effective Commander and it was the major impetus behind the College of Chapters curriculum. It is the primary job of the Commander to inspire the action of the chapter behind a shared vision. Leadership by effective Commanders is not about management or hierarchical decision-making from the top elected positions. Effective leadership is a process that a group goes through together – the Commander just happens to be the individual tasked with making sure it happens. 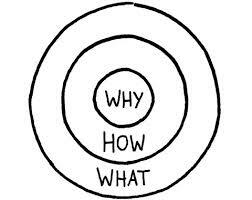 The vision of a leader is related to the “why” of Sinek’s golden circle. A vision is how the chapter leader motivates others to follow him. Instead of focusing on the minutiae of day-to-day activities – making flyers, planning a social, running chapter meeting, etc. the leader should focus on why the chapter does what it does. S.M.A.R.T. goals help conceptual vision and strategy statements become much more practicable. Vision is not going to be implemented without effective goals and objectives that other members can put into practice. Delegation is how the Commander spreads his vision to other members of the chapter. Delegation can be broken into five distinct phases: preparation, planning, discussion, auditing, and appreciation. Preparation and planning are how the Commander – or more generally – the delegator formulates what needs to be done. Discussion allows for the Commander to assign the task to his designee. Ideally this will be a conversation that allows the designee to make his own decisions about accomplishing the task. The Commander should audit the progress towards the goal and finally appreciate the accomplishments of the member who has completed the goal. Through delegation, the Commander can fully spread his vision to the entire chapter and get everyone involved in accomplishing it. The Commander must ensure that the chapter has a vision and is progressing towards that. Through delegation and an effective action plan the Commander can ensure that this happens. During his keynote address, Past Regent Robert Durham relayed a story of a learning moment that came while he was Commander at the University of Georgia. Durham recalled a piece of advice that he received from Mu Chapter (Georgia) Alumnus George Hearn on a gameday during his fall term. “Son, these men have elected you to lead them; you have an obligation to excellence,” said Judge Hearn. 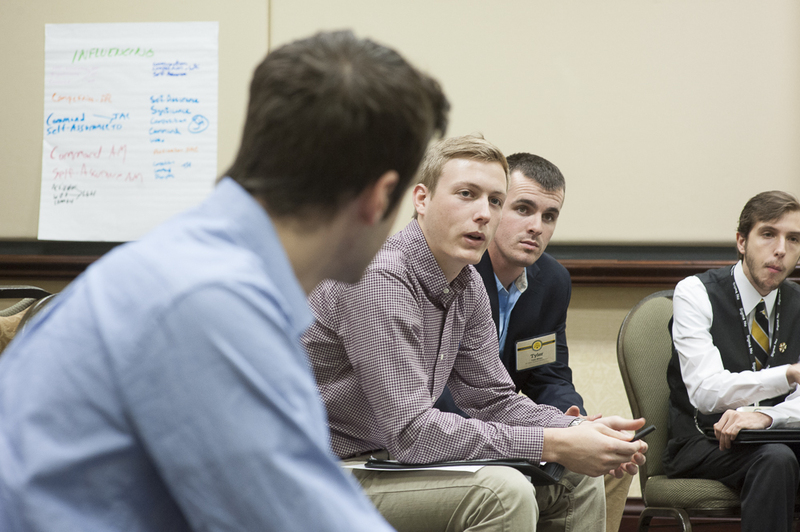 Sigma Nu’s success depends upon Commanders applying the lessons they learned at College of Chapters: communicating a shared vision and implementing it through strategy, goals, and delegation. 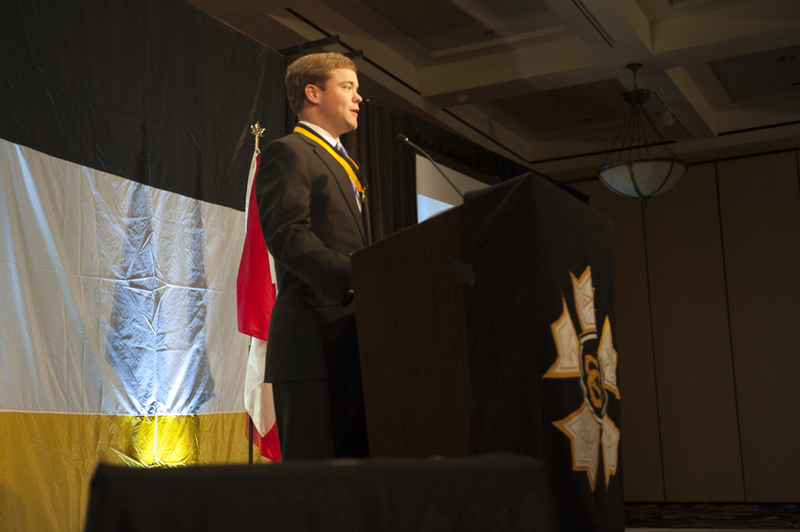 The mission of Sigma Nu hinges upon each Commander fulfilling his obligation to excellence through visionary leadership. 1. Some catch a snooze while others converse on the bus ride to Lexington. 2. Commanders compare notes on the pilgrimage to Lexington. 3. 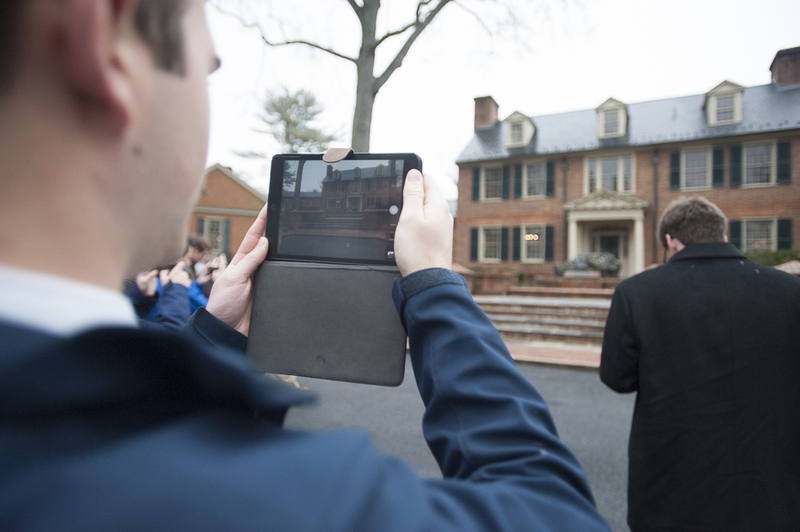 Visitors take smartphone pictures outside the Headquarters Shrine. 4. 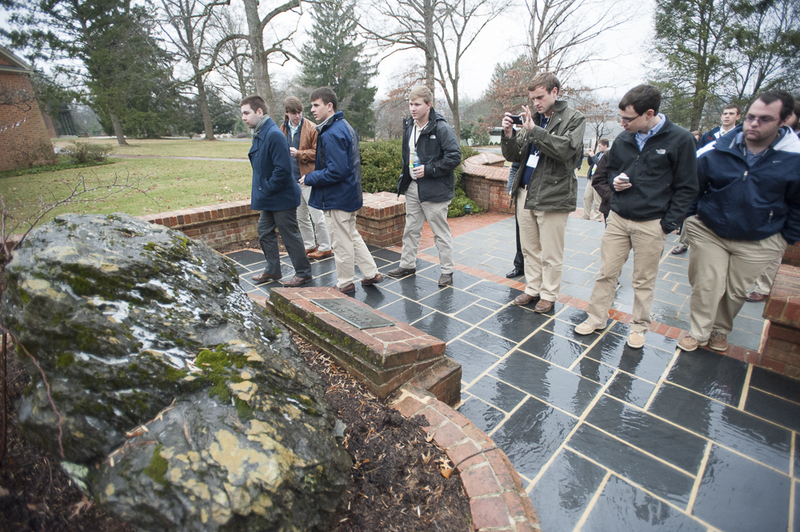 College of Chapters participants endure a cold rain to photograph the Rock that sits in front of the Headquarters Shrine. 5. Visitors photograph a clay rendering of the badge on display in the Headquarters’ foyer, Smith Hall. 6. 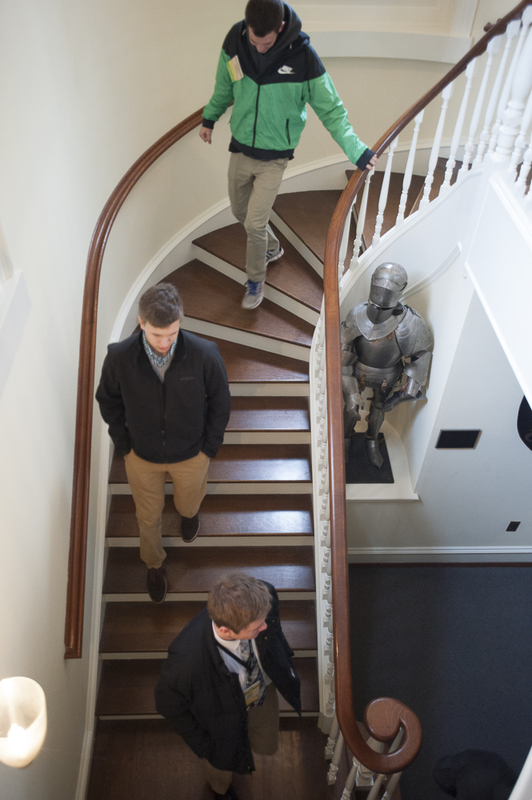 Commanders descend stairs leading to the Alpha Room. 7. 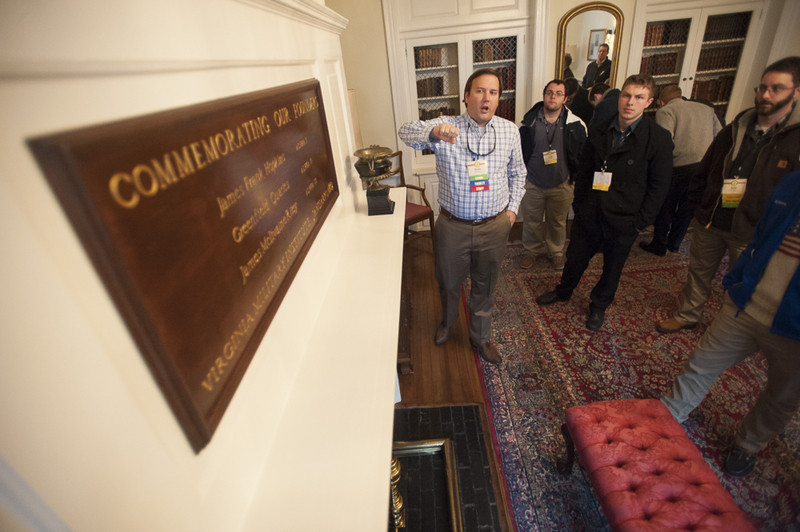 Staff member Bill Morosco talks Sigma Nu history with collegians gathered around a scale model of VMI in the Headquarters museum. 8. 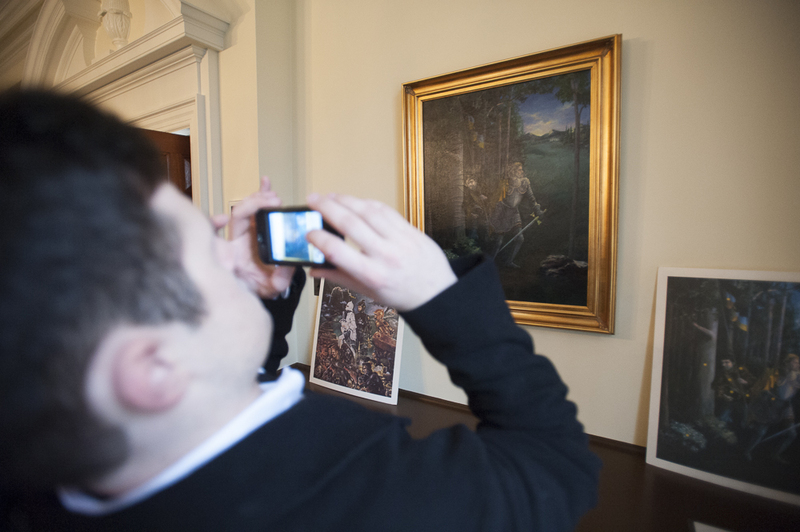 A visitor snaps a photo of the original painting of The Quest. 9. 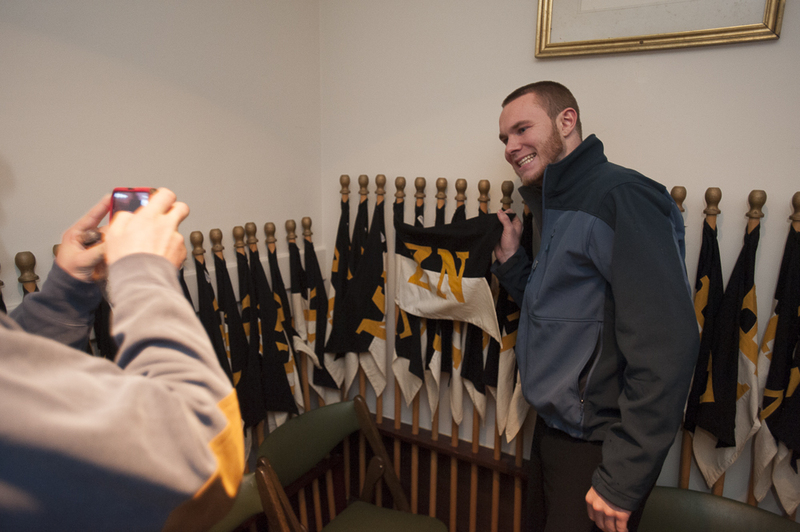 A Commander has his photo taken with his chapter’s burgee in the Alpha Room. 10. 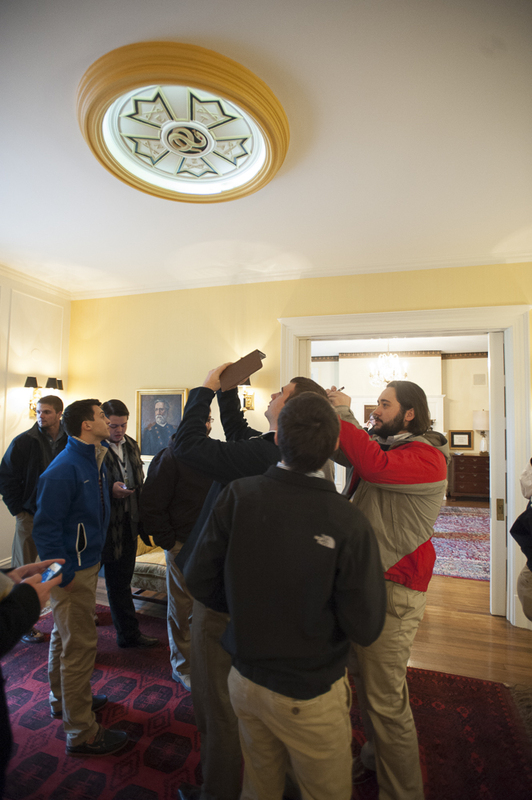 Staff member Drew Logsdon gives a tour of the Founders’ Room, which includes the encyclopedia set Founder Hopkins used as a VMI cadet. 11. 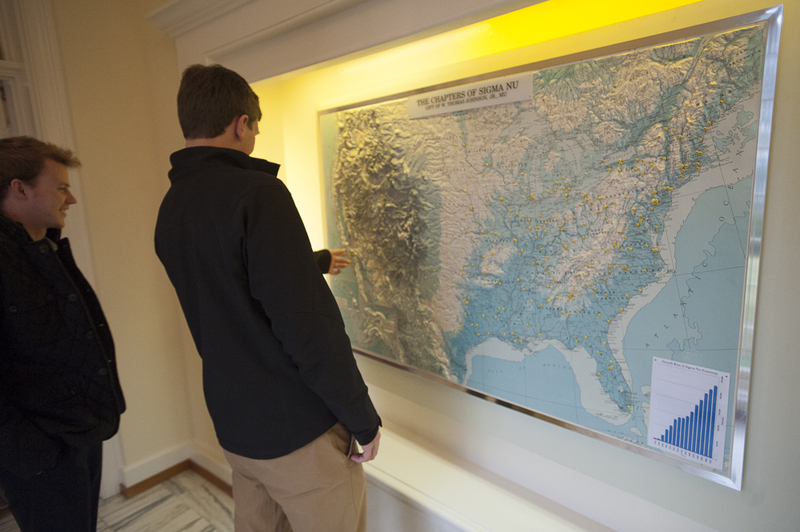 A topographic map in the Hall of Fame gives Headquarters visitors a spatial view of Sigma Nu’s wide geographic reach across the U.S. and Canada. 12. Visitors explore the Hall of Fame in the South Wing of the Headquarters Shrine. The lectern in the foreground contains a photo and bio for every Hall of Fame inductee. 13. 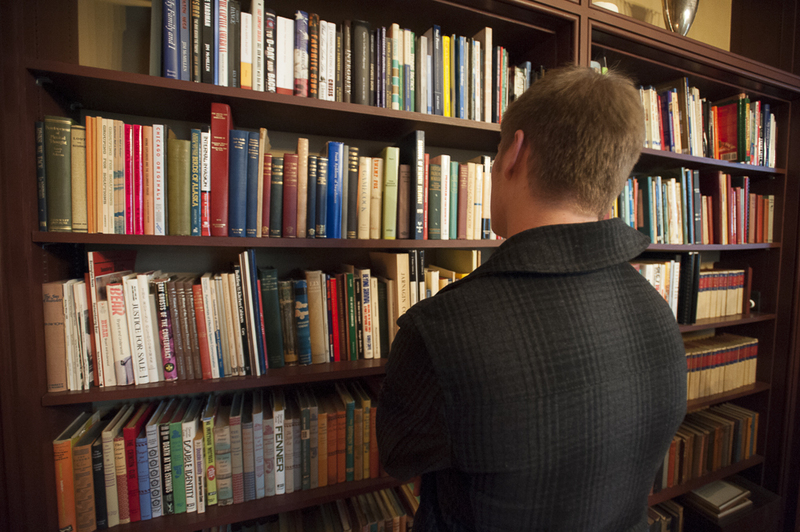 A College of Chapters participant browses titles by Sigma Nu authors in the Richard Fletcher Honor Memorial Library. 14. Commanders tour the Hall of Honor in the North Wing of the Headquarters Shrine. 15. 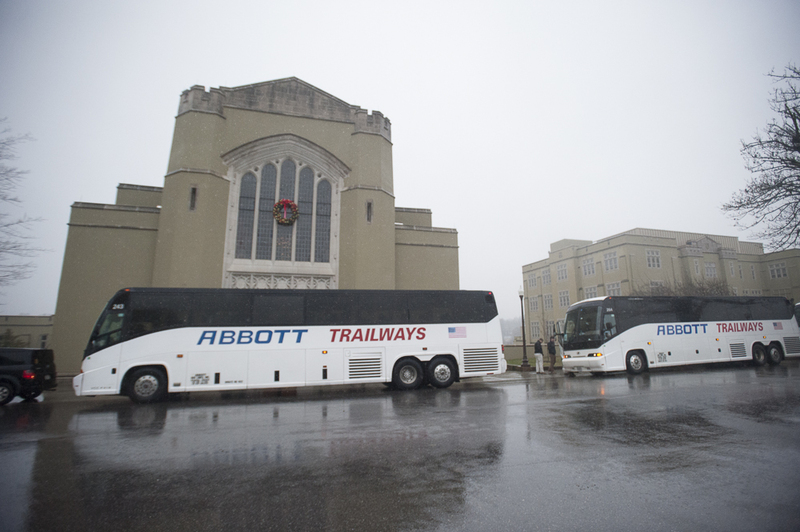 Busloads of Sigma Nus unload at VMI just a few hundred feet from the Legion of Honor’s founding site. 16. 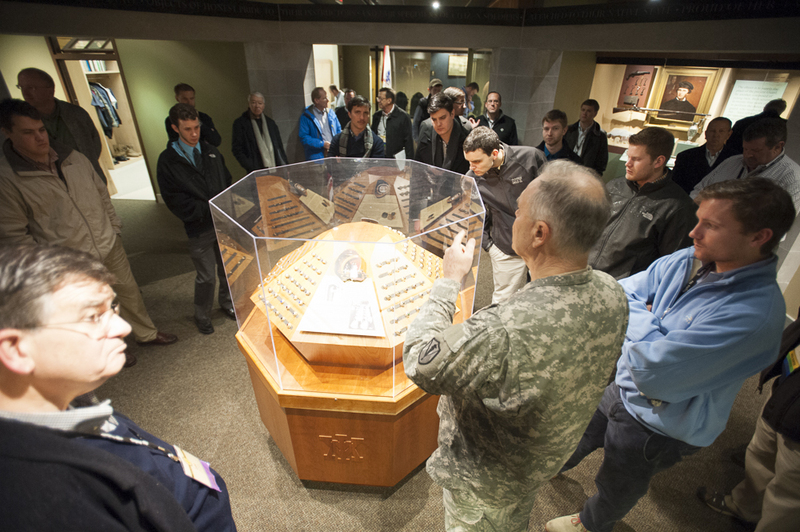 Sigma Nus get a special tour of the VMI museum. 17. The pilgrimage will be Instagrammed. 18. Back in Roanoke, Regent-Elect Joe Francis knights the 2013 Alpha Affiliate inductees. 19. 2012 Man of the Year Wells Ellenberg returns to deliver the evening keynote address. 20. In the final chapter session, Commanders finalize their goals for the year based on the vision they developed during College of Chapters. 21. Commanders write their goals on a poster that will be taken back to the chapter home.